Day 1 of the programme included business briefings provided by the British Embassy, the Chambers of Commerce and Industry as well as CEPICI. 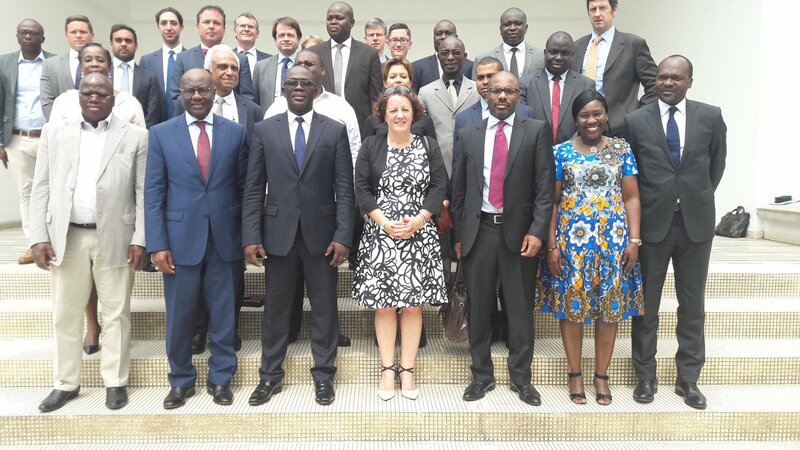 The delegation then met with Prime Minister Coulibaly followed by a lunch hosted by The Primature for the delegation involving several Ministers and senior officials. In the afternoon bilateral meetings were secured with the Ministers of Agriculture, Housing & Urban Development, Energy and Finance. Day 2 began with a networking breakfast arranged by APEX-CI (Association Pour la Promotion des Exportations) followed by economic briefings from the World Bank, IMF and ADB. Additional meetings were secured for some delegation members, including with Ageroute (roads authority) and the PPP Development Board with a final call on HE Daniel Kablan Duncan, Vice President of Côte d'Ivoire. HMA Josephine Gauld, British Ambassador to Côte d'Ivoire kindly hosted the delegation for a reception on the final evening to thank the delegates and sponsors as well as those others that made the mission happen.